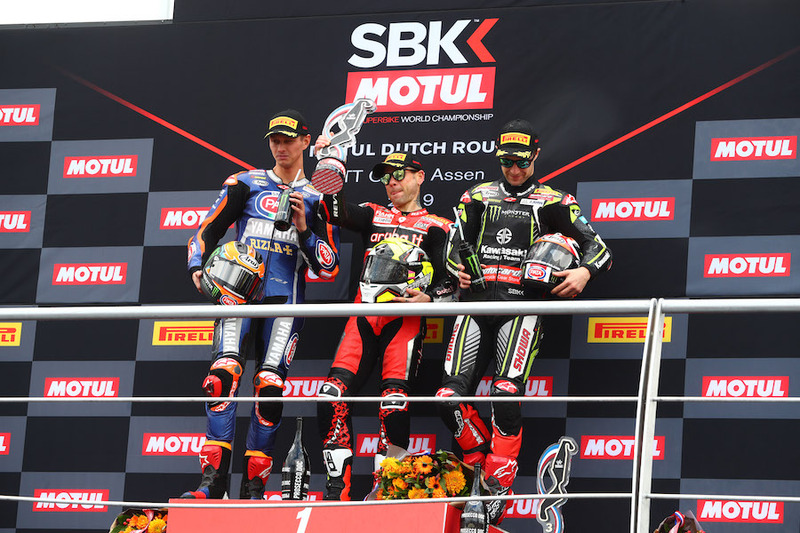 Alvaro Bautista (Aruba.it Racing – Ducati) now has enough WorldSBK trophies to build his own static football team, his 11th win of the season coming after an early struggle with Jonathan Rea (Kawasaki Racing Team). Bautista ran clear at the end to win by 4.688 seconds, but not from Rea – from Michael van der Mark (Pata Yamaha WorldSBK Team). VDM passed Rea late on and then held off a final lap charge from the four-time champion, and another attempted pass over the line. The margin of second to third was only 0.018 seconds. It was by the standards of some races this year, a thriller. From eighth on the grid Rea was up to second and then leading in just two laps. Chaz Davies (Aruba.it Racing – Ducati) then went up to second and Bautista took the lead at the same time after a handful of laps. Rea went back to second on lap seven, just as Davies started to drop back. 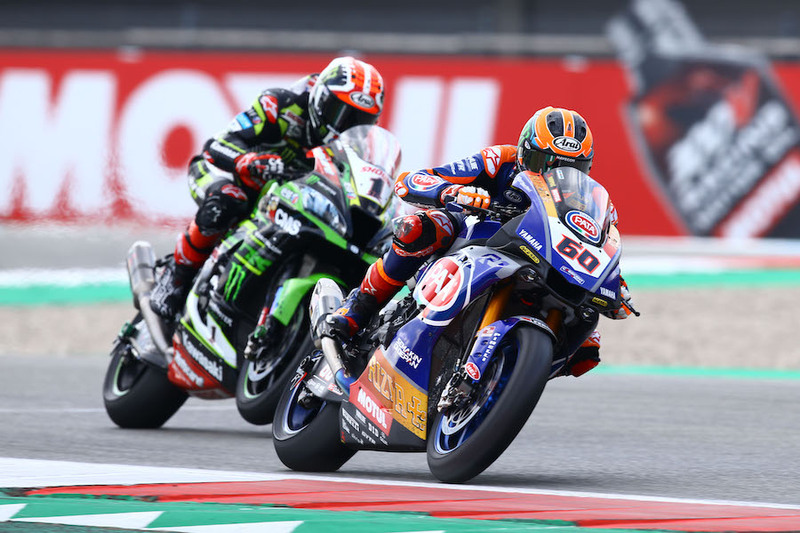 VDM and his team-mate Alex Lowes contested the final podium slot for a time, as Davies dropped into the force field generated by Leon Haslam (Kawasaki Racing Team) and Markus Reiterberger (BMW Motorrad WorldSBK Team). Lowes would finish fourth, Davies fifth, and Reiterberger sixth. Tom Sykes (BMW Motorrad WorldSBK Team) was riding on his own and finally took seventh, from a dramatically slowing Haslam in an eventual eighth. A repeat of race one’s Jordi Torres (Team Pedercini Racing Kawasaki) v Toprak Razgatlioglu (Turkish Puccetti Racing) battle saw Toprak ninth and Torres tenth this time. Top Honda rider was Leon Camier (Moriwaki-Althea Honda Racing Team) in 12th, one place behind GRT Yamaha rider Sandro Cortese. After for rounds Bautista has 236 points, Rea 183, Lowes 126 and VDM 115.